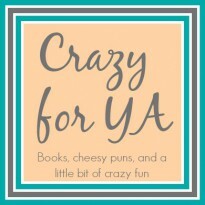 Welcome to Book Battles, a feature here at Crazy for YA where I put two books in the battle ring and have them fight it out to see which one is better. 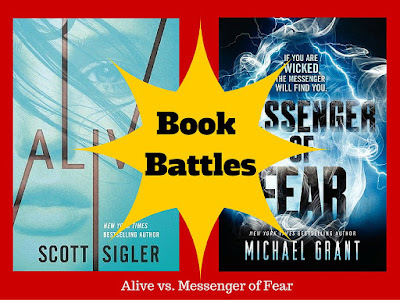 Today's fight is between Alive by Scott Sigler and Messenger of Fear by Michael Grant. Alive is a science fiction thriller about a girl who wakes up in a coffin without a clue where or who she is. Messenger of Fear is a thriller that leans more on the urban fantasy side of the spectrum about a girl names Mara and her exploits, or more like terrors, with her new nightmare, the Messenger of Fear. Since both of these novels are thrillers, it is best if I do not reveal a lot about the nature of the plot. I want to keep the mystery and suspense intact. Go to the original post to see which book wins, and why!